It’s gonna be loud in Durango over Labor Day weekend as bikers gather for the Four Corners Motorcycle Rally. 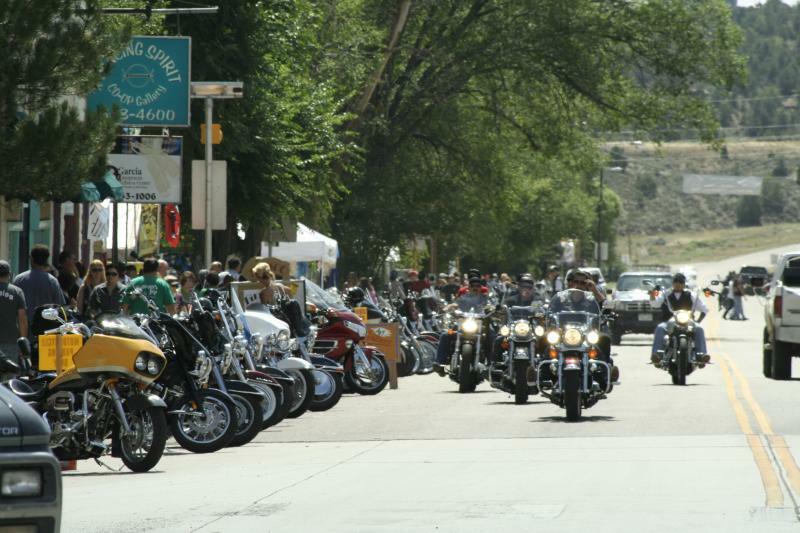 Ignacio Bike Week and The Four Corners Bike Rally have joined forces to create the Four Corners Motorcycle Rally in Southwest Colorado during Labor Day weekend, Thursday, Aug. 29, through Monday, Sept. 2. The weekend is packed with events, entertainment and rides in Ignacio, Cortez and Durango, Colorado. Durango is smack in the middle of Ignacio and Cortez, which makes the Durango Quality Inn a great base for your rally weekend (not that you’ll be spending much time in your room). Durango will also host downtown street parties Friday and Saturday nights. The El Rancho Street Party on Friday will include the Coors Beer Garden, food and vendor booths, live music and Durango Train & Motorcycle souvenir photos. Saturday night is the Elk’s Lodge Party with the Coors Beer Garden, booths, vendors, bands and the Rally-on-the-Runway Fashion Show by Durango Harley-Davidson. Don’t miss the 2014 model Harley demo fleet on display at Durango Harley-Davidson on Saturday, Aug. 31, and Sunday, Sept. 1. Cortez will have Native American dances every evening Thursday through Saturday as well as downtown events throughout the weekend, including bands, beer tents, food and vendor booths and a Roller Derby bout on Saturday. The Sky Ute Casino in Ignacio will also be giving away a new 2013 Harley-Davidson! And, of course, all weekend is all about the rides. There are plenty of poker runs to join, but the area also offers plenty of scenic roads to explore, including the San Juan Skyway, the Silver Thread Scenic Byway and the Million Dollar Highway. Make sure to book your room at the Durango Quality Inn today before we’re booked up — not that you’ll be doing much sleeping!